For those facing drug trafficking charges, make no mistake, there are few sympathetic juries, especially in Louisiana. As a state, Louisiana has previously ranked No. 1 in the country for percentage of its population being incarcerated. The possibility of receiving a lengthy prison term for a drug trafficking conviction is a real threat. This will be even more likely if you have any prior felony convictions for drug-related crimes and the state decides to pursue your case under the habitual offender law. 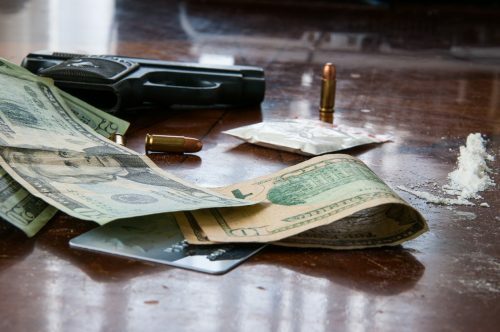 Get an experienced drug crimes defense lawyer on your side as soon as possible. Attorney Robert S. Toale will work with you to put forth the best defense possible. Our office represents first-time offenders or anyone to whom the habitual offender penalties might apply. At the Law Office of Robert S. Toale, our New Orleans drug trafficking charges lawyer has decades of criminal defense experience and has been practicing in federal court for more than 15 years. With experience handling most difficult criminal defense cases, including capital cases, our firm can provide you with the criminal defense skills necessary to help you achieve the best possible resolution to your case. We are well aware of and familiar with the challenges that are part of defending a drug trafficking charge in Louisiana in both state and federal courts, and we are confident in our ability to build legal defense strategies that can succeed. If you are facing drug trafficking charges, we can help. Let our decades of experience create the solid defense you need. Call 504-368-8440 or simply contact us online to schedule your initial consultation with our Gretna cocaine trafficking defense attorney.